Ever tried using a screwdriver to hammer a nail? It sort of works if you try hard enough, but at the end of the day, you’re using the wrong tool for the job. With so many players on so many teams, plus all their parents and your coaches, you’ve got a lot of information. Sure, you can fit it all in a spreadsheet. But the more information you have, the sloppier your spreadsheet will get (just ask the guy in the picture). What’s the use in an organizational tool if it isn’t organized? TeamSnap for Clubs & Leagues is super organized. Rather than sifting through a gigantic spreadsheet (or a bunch of slightly less gigantic spreadsheets), you can find contact info, jersey number, field locations and more in seconds. Plus, you even get a handy search bar, perfect for streamlining your process. If you need essential info for your club or league while you’re on-the-go, spreadsheets aren’t going to cut it. Imagine zooming into each individual cell just to find the info you need, then zooming out to reorient yourself, then back in, out, in. Whoa. Makes me dizzy just thinking about it. If you create your registration forms on a spreadsheet, you might actually be costing yourself even more time. Filling them out takes long enough, and once you have, you probably still need to collect checks in person and bring them to the bank. 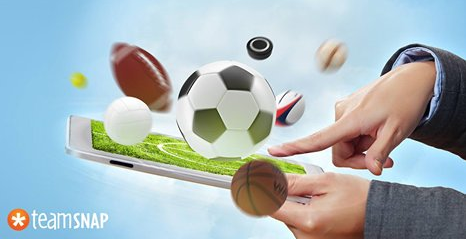 TeamSnap’s club and league registration software allows you to create your forms in seconds. They’ll look so good that your registrants will actually enjoy filling them out. Also, you can consolidate your registration and payment system into one place. When submitting registration forms, registrants have the option to pay directly through bank account or credit card. Try doing that with a spreadsheet! Are you ready to ditch your spreadsheet? Get more info from our club and league experts today!